For Parents - Kristin Majda, M.S., M.B.A.
Science is a difficult yet critical component of your child's education. Here are some resources to help you learn more about how you can best help your child. 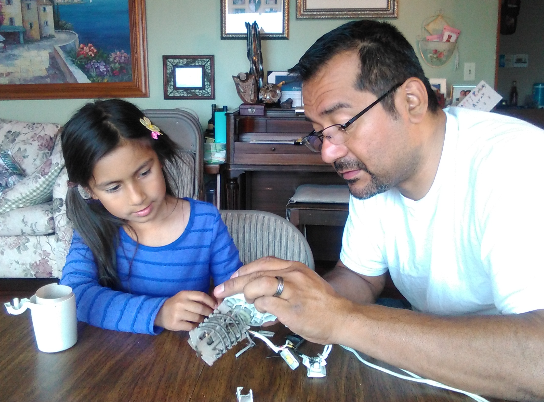 "Dissecting" a hair dryer to figure out how it works. Psychologists Identify the Best Ways to Study - this article, published in Scientific American magazine, addresses the concern that "some study techniques accelerate learning, whereas others are just a waste of time—but which ones are which? This unprecedented review maps out the best pathways to knowledge." Good readers are able to read difficult technical material by tackling it one paragraph at a time. Often students think that studying a chapter in their textbook means scanning over it. However, when reading technical material like science and math textbooks, successful students know to expect to read paragraphs and pages several times before they will be able to attain full comprehension. I require my students to complete "reading logs" following technical reading strategies I teach and practice with them in class. These strategies are a spin-off of the reciprocal teaching technique and involve identifying pre-reading questions, defining key vocabulary, summarizing key content, and creating graphic organizers that link together key ideas. Once mastered, technical reading skills are key to student success in college if pursuing studies in any of the STEM (science, technology, engineering, and math) fields. Click here to read about how strategies for teaching kids reading comprehension helps improve their overall learning abilities in all coursework. NGSS Parent Guides for grade K-2, grade 3-5, middle school, and high school. You can also find Spanish versions of the parent guides on the NGSS website. 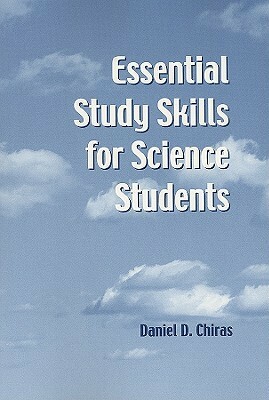 I recommend purchasing the following book for your child: "Essential Study Skills for Science Students." It is a small but useful book with very good guidance for students in developing skills to help them meet the demands of college. It is not only for science students, the information is useful for all students. You can order it from Amazon.com for only $3 plus shipping and handling (or free shipping if you have a Prime account).